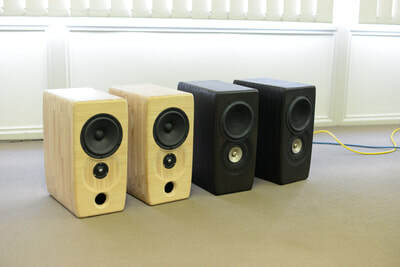 Rick has just finished up another two-way loudspeaker prototype and he likes it a lot, so he may well bring that too. The design is pretty unconventional with a small full-range mated to a Scan-Speak mid-woofer with an active crossover at 500hz. Source – Oppo BDP-105D multi-format player. The second half of the music sessions will be our popular BYO. Members and guests are welcome to offer music to share with us all. So bring along your favourite music on CD or USB thumb drives (sorry, no vinyl this month). All we ask is that the music and recordings be interesting. We'll ask you to tell us a little about the artist/recording before it is played. Tracks over 6 minutes will be faded out, to give everyone a fair go. Our August club meeting was very well received by members and guests alike. We had a good turn-out for both the first and second half sessions. 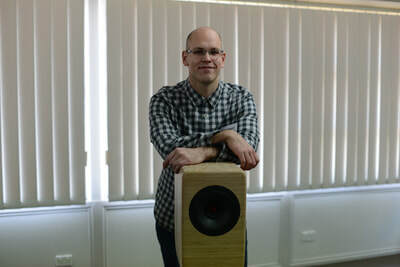 Rick Bond of Lucie Audio gave an excellent introductory talk of his custom-made speakers, his preamp and power amp, and mostly importantly, his ambitions and direction for his relatively new venture, Lucie Audio. His products use Dirac Live to assist with room correction – to get the best sound possible from each room. Rick spent upwards of 2 hours calibrating for 3 different sets of speakers (yes, he brought 3 pairs!). He was so intent on the calibrations that he wound up eating cold pizza rather than warm pizza like Steve and me. His attention to detail was excellent, as was evidenced by the great sound in the room. His second pair of speakers were almost unanimously considered best, so we stayed with them throughout the entire second half when we had our BYO session. "Good attendance, good sound for the price point, good variety of music. " "Excellent explanation of package. Good combination for an inexpensive system. Good local product with local engineering. " "Excellent meeting, very interesting equipment. Nice combination of technical capability and practicality. " "Very informative presentation. The second pair of speakers were very involving, a pleasure to listen to." "Good bang for the buck. Speakers were well designed. " "Well organized meeting - my first visit. Flawless for a DSP / Class D combo. " "A bit of room correction and this room isn't all that bad! Great speakers and system. " "Another great day of listening to music." "Very good and informative meeting. The second set of speakers were really impressive for their size. Good design. " "Another enjoyable meeting. Great Aussie speakers. " "Best stand mounted speakers presented in many meetings. The second pair were very good indeed. 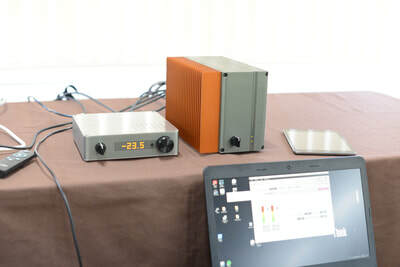 Preamp and power amp worked well together. "